Payroll taxes represent both the employer and employee portions of Social Security and Medicare taxes, along with Federal income taxes that are withheld from an employee’s paycheck. The IRS takes an especially hard stance on the failure to remit payroll taxes, and uses aggressive collection efforts when pursuing these delinquent taxes. The Trust Fund Recovery Penalty (TFRP) is a “penalty” equal to the trust fund portion of corporate unpaid payroll taxes.. The IRS has the power to not only assess the TFRP against a business, but also against any responsible persons. A responsible person is anyone responsible for collecting and paying withheld taxes and payroll taxes who willfully fails to collect or pay them. Assessing the penalty against individuals serves several purpose. First, if the business collapses, the IRS can still recover the TFRP from the responsible persons. Second, individuals are also more incentivized to submit the proper payroll taxes because they know that they might be personally liable for the penalty. Once the TFRP is assessed against an individual, the IRS can take all of its usual collection actions against their personal assets, such as bank account levies, wage garnishments, or federal tax liens. This gives the IRS even more collection options, as there may be several responsible persons to collect from. Businesses typically have profits that can used to satisfy tax debt, along with assets that can be seized to pay off payroll tax debt. While individuals can avoid some collection actions if it would seriously interfere with their standard of living, the IRS does not have to worry about such considerations when collecting from a business. The TFRP also cannot be discharged in bankruptcy, no matter how old the tax liability is, unlike some other taxes. 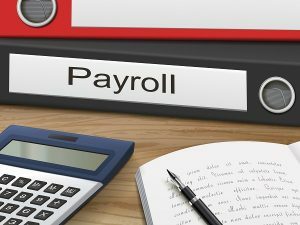 If your business has delinquent payroll tax debt, you should consult with a tax attorney to determine whether you are personally responsible for the TFRP. You may have to separately consider both your business’s tax liability as well as how to protect your personal assets from seizure or other collection actions. Consult with a tax controversy attorney to determine how to protect both your business and personal assets from IRS collections.